Ryan Reynolds knows a good joke when he sees one. As the brains behind the Merc’ with the Mouth, the funniest superhero franchise in history, you’d expect him to have the ability to concoct effortlessly complex comedy on social media. He’s not afraid to take aim at anyone. His wife and fellow actor, Blake Lively, as well as the two children they share have been victim to his sharp tongue and famous keyboard warrior wit. 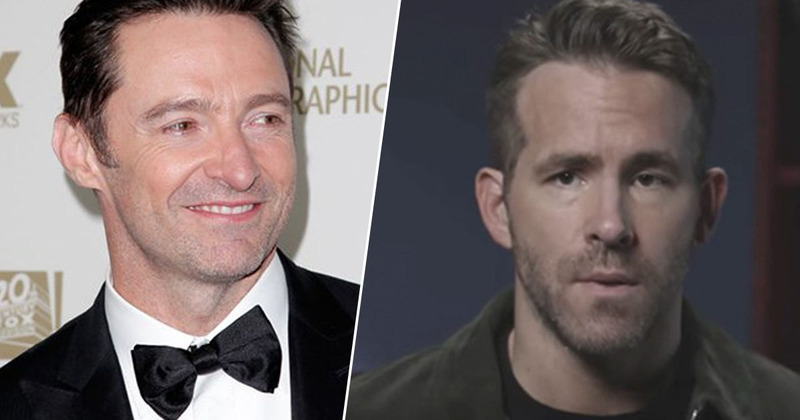 Reynolds won’t even pull a punch for his idol, Hugh Jackman, of Logan fame. The pair have showcased their delightfully jovial friendship ever since Reynolds started his public creeping campaign to get Wolverine to cameo in Deadpool. It seems Jackman has succumbed to his charms finally, and now welcomes Meaningful Social Interactions with Reynolds. The latest comes as Jackman discovered he and Reynolds looked a lot a like as young boys. Taking to Instagram with photographic evidence, Jackman tagged Reynolds in the side-by-side. While Hugh was looking for answers – he captioned the photo ‘Brothers?’ – most people in the comments said they were only there for Ryan’s response. Simply put, he came back with a new twist on the ‘mum’ joke trope popularised in playgrounds across the UK and further afield. Mom’s frequent trips to Australia suddenly explained. Okay, so it’s not a classic ‘your mum’ moment. But it’s a joke and there’s a mum in it. I guess it’s just at the expense of Ms Reynolds Senior? It’s not Reynolds’ best work but perhaps he was just so surprised to finally receive the attention he evidently so dearly craves from a man of Jackman’s stature, his wit failed him in the moment? Perhaps he’s too busy furiously googling his family tree for Aussie ancestry, plotting the new narrative for a potential Deadpool 3 on the basis that Jackman will have to make an appearance if they’re blood related. To be honest, if that was the outcome I think we’d all be happy for this joke to come true.